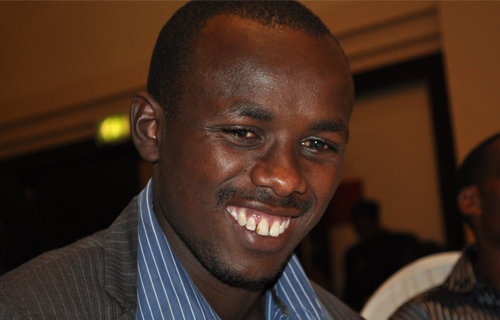 The Marriage of Olympic marathon champion Samuel Wanjiru seems to be on the rocks. Soon the champion could find himself wifeless and without a substantial amount of his multi millions should the divorce proposal filed by his wife sail through.Wanjiru’s wife Teresia Njeri on Monday requested to be divorced from the 24 year old world marathon champion following unending disagreements which escalated to a near disaster over the Christmas festivities when Wanjiru allegedly threatened to shoot her with an AK47. In the event of a successful divorce, Wanjiru’s wife will be entitled to a substantial amount of Wanjiru’s multi millions accrued in his successful titles in Europe as winner of London and Chicago marathon. Wanjiru is also currently expected to appear in the docks on the 9th of February at the Nyahururu law courts for mention of the multiple charges against him which include being in possession of an illegal fire arm (AK47), indecent assault to his home’s night guard and threatening to kill his wife. All these events happened in his Muthaiga estate home in Nyahururu on 28th of December 2010 when the Star allegedly came home under the influence of alcohol. According to the news, Wanjiru’s wife has also denied having settled the alleged assault and death threats off the courts saying the matter will be decided by the courts of law. Wanjiru was arraigned before the Nyahururu senior resident magistrate Loice Mong’are but pleaded not guilty to all counts and was released on a 300,000 shillings bond and surety of the same amount. Wanjiru was the first Kenyan to ever win gold at an Olympic event in Beijing 2008 and also won the London and Chicago marathon both of which come with handsome cash rewards of over 40 million shillings a piece. Should Wanjiru be found guilty of the offences mentioned against him, then he might find himself behind bars, an event which could dangerously taint his credentials internationally. Report courtesy of Kenya’s Citizen TV -Monday news.